One of the more disturbing trends in eBook publishing centers around the use—or lack of use—of ISBN numbers to identify editions of eBooks. The fact that many of the larger stores do not require them at all is in itself a challenge. But when publishers and stores use the term “eISBN”, or use the same number for fundamentally different eBooks, it creates confusion. This has the potential of upsetting readers and ultimately creating problems for the industry as a whole. You can read the Book Industry Study Group‘s ISBN policy statement and guidelines here, but a quick look at Bowker's MyIdentifiers.com sales page illustrates the same point. Technically you need to assign a unique number for every eBook edition: EPUB, Mobi (Kindle) and PDF are unique digital media formats, with unique capabilities. For example, PDF is great at displaying a replica of a printed page. It can have any type of font or layout. But an EPUB or Mobi file is reflowable text with a limited selection of fonts. Using the same ISBN number communicates they are the same. NOTE: See our post ISBN Essentials: An FAQ for eBook Publishers for clarification on the need to assign a separate ISBN for each eBook file (i.e. one for Kindle and different one for EPUB). The PDF vs. EPUB/Mobi example is easy to understand and is less of an issue today because the major stores do not sell PDF eBooks. But with an ever-increasing interest in using multimedia elements—audio, video, animation—to enhance text and image eBooks, using the same number for different products will confuse shoppers. Making matters worse publishers give fundamentally different eBooks the same exact title. Another example is the popular children's book Chicka Chicka Boom Boom. Purchased from Amazon the eBook's text can be enlarged by double clicking and there is no sound. Purchased from Apple's iBooks store (at four times the price as of this writing) the shopper gets a book enhanced with audio read-along. Both eBooks share the same ISBN number: 978-1-4424-3891-0. Contrast these examples with the superb Warner Bros series Inside the Script. The differences between the Kindle and iBooks editions are recognized by the use of different ISBN numbers. Well done Warner Bros.
What I find interesting is that the publishers and stores are not making a bigger deal out the differences between their eBooks. From what I've read most Apple device owners use or prefer Amazon Kindle eBooks over Apple iBooks. This would be an opportunity to differentiate Apple's superior eBook presentation from Amazon's inferior enhanced eBook presentation. Have you come across eBooks that share the same name but differ in their content, capabilities or presentation? Let me know in the comments box below. Thanks Elisa, I’m glad it cleared things up. I am converting our paper book to an ebook. I noticed on a Hunger games ebook, that there was an e-isbn number included in the copyright information. Glad to find your information and know that is incorrect! The correct way is to get a new ISBN for each format I use (EPUB, MOBI). What is the best (and most economical) way to get these numbers? Should the paper format ISBN numbers be referenced when Applying? Our book currently has an ISBN number for Paperback, one for Hardcover, and also a Library of Congress number. I should also mention that the content will Not change from paper to electronic, but I will not include an index and some of the fonts and formatting etc will obviously change. Hi Cindie. The only official source of ISBNs in the US is Bowker at MyIdentifiers.com. Also, Bowker has changed their position and you do *not* need a separate ISBN for the EPUB and Mobi…just one number will do unless those two files have different content (i.e. one has video embedded and the other doesn’t). If you already have an ISBN, you must have an account with Bowker. Just buy more numbers for that account. I have recorded a 10 part training video on ISBNs and it covers all this. It is currently free for a limited time. You can learn more at http://www.EpubHelp.com. I agree with you in part. I agree that different versions/editions of a book need a different ISBN. However, as a matter of our quality control and workflow we create the mobi from the epub, therefore it is the same edition of the book, and we use the same ISBN. We only use different ISBNs as a standard procedure for the enhanced edition, or for a completely different layout (as in the case of an iBooks Author version of the same book). Yes, that is the accepted best practice now: use the same ISBN if the content is the same. Bowker’s guidance about assigning ISBNs has changed since this post was written. 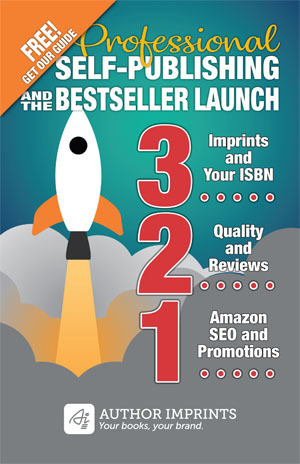 Nevertheless, the publisher may wish to assign unique ISBNs to different formats if they are tracking and reporting sales by format (not unlike how and why a serial number is used). Thanks for sharing your experiences.